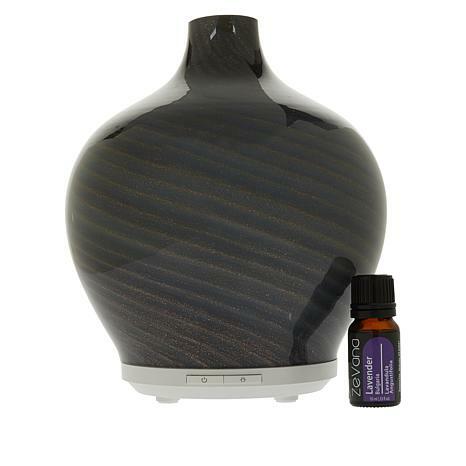 Make any room in your home a little piece of paradise with this diffuser in a choice of beautiful patterns. The subtle understated lighting creates a calm atmosphere, and it delivers the pleasing aroma of lavender. Rinse the water tank and wipe it dry with a clean cloth every time you use a different type of essential oil or every 2 uses. Use a damp cloth to clean the exterior of the unit. Keep water from entering the vent. Do not move once unit has been filled with water.